Wisdom in the counsel of…aka.how do you make decisions? Y’know, things aren’t always as they seem at first glance. My scriptural checklist for making decisions. The decision must not offend but be in alignment with scripture. e.g. : no, you should not steal. Wise counsel of many – this is peer mentoring from those as close or closer to God than you. Your golf buddies may not qualify. Timing – God may support your ‘instinct’, but not now. e.g. : You want to go into ministry full time but the kids are in college and you have no money in the bank. Better keep your day job for now. ‘Instinct’? – For the believer, there is no such thing as ‘gut feeling’. You’ve prayed, read the Word faithfully, sought counsel, taken inventory of timing, and now find quiet moments to Listen to the Leading of The HOLY SPIRIT. Communication is 2 way, not giving your to-do list to God, but listening. Does a certain outcome make sense to you ? That’s why you wait & listen for peace that only the Holy Spirit provides. Fast – at a minimum fast 24 hrs, from sundown today until sundown tomorrow. Wait upon the Lord – give a minimum of 7 days for major decisions. Let there be time for emotion to fade out of the picture – it should be the ‘caboose’, not the engine. ps. How many guys in that photo….12? 13? At a time of emotion or gut reaction. “Emotions are the caboose on the decision train”. Because ‘it just feels right’. .. see above. Because a fortune cookies said its so – apply this to any random or collection of random sayings. This would include any philosopher. Have you noticed that they have changing advice depending on what time of their life they wrote it ? Think how one world religion in a single ‘holy book’ first says ‘Christians should be tolerated’…later it says they should be treated with aggression…later, they should be killed. Contrast this to Christian scriptures written by 40 some authors over 1500 some years yet all with a theme that is consistent from beginning to end. Because ‘all my friends think its right’. Did you know the most powerful friendship builder is when 2 or more agree AGAINST something or someone ? Further, many false friends won’t risk the friendship but favor being a ‘yes (wo)man’ to keep the relationship…for self purposes of course. Think about these friends motivation – it should be to disciple from a consistent scriptural world view. Recall how we’ve discussed “the 5 steps to grieving/healing”, recall the film I had to watch for a management class “12 Angry Men” -where you learn how to be a better persuader, and NOT, recall that there are risks in life that go with the rewards? Here’s your next night in flick. “What would a loving God do ?…allow you to love and then loose the one you love ? or never introduce you to such a lovely one in the first place, sparing you the pain ?” ( paraphrased as close as memory allows ). Certainly one of my favorite lines follows in the answer: ” He’d give YOU the choice”. 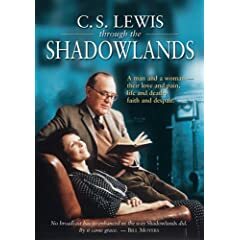 But you will treasure your spouse as well as learn about healing and about staying true to you purpose in Christ as an individual by the time you get to the 2 closing priceless scenes – that as well as the summation ending dialogue. Much as I dislike giving my precious life moments away to sit for a film, this one is useful for the greater purpose. 1. Track your spending. 2. Look for leaks. 3. Set goals. 4. Be flexible. Where there is anything that’s designed, there is a designer. Whether it’s a truck, building or train — or even marriage — there is always a mastermind behind the masterpiece. God, the mastermind of marriage, also has a plan for how marriage works best. This article is on our newly added Tool, …. family.org ….from their Marriage section. I’ve found Focus on the Family to have an exhaustive & user friendly site for both “mountain top” times as well as deep deep “valleys”. 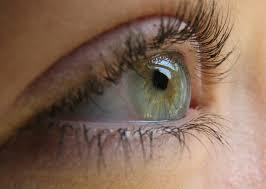 Eyes that point inward ! To bad I have a “Concrete Random” learning style. 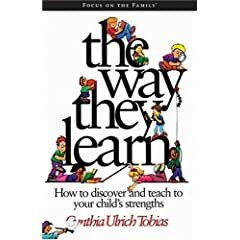 You’ve familiar with Cynthia Tobias’ “The Way We Learn” book, right? Surely you’re read it so you can better understand how you are different from your children…or better yet, your spouse. Naturally you want to know how to better understand why he/she isn’t as clean as you ( or perhaps a “neat freak” ), or why he needs to see map and can’t otherwise remember directions, etc etc. The styles: Concrete Sequential, Abstract Sequential, Abstract Random, and Concrete Random, I don’t really care about. But I do care – now that I know – that we are different. We need to know that. The “to bad” about me remark ?…is that it took me so long to know what Bev was saying. Basically, its not how we share God, when, where, or why perhaps – but that we do. Regularly. Deliberately. Even tho she felt by and large we need less pills and less counselors and more prayer time ( and her life is a fine example of her teaching ), I believe she’d agree with me that we need to understand more about our spouse, just like we need to understand more about God. I, for example, ..learn/ work/ interact.. with the need to actually SEE and TOUCH – so I had to have proof of the “praying has good consequences” which I got statistically years later, then believed. I also …learn/work/ interact.. RANDOMLY. As overwhelming it is for my brother to multiple tasks spinning in front of him, I am equally overwhelmed with only 1. Yikes, the stress for me to think when I’m mentally blocked on one item I can work a bit more on the other 68 open tasks on my desk and the floor all around me. My poor spouse may never understand. At the same time, I get overwhelmed if anything “gets moved” because after all – I knew just where I’d put it! Thats the CONCRETE part; if I can’t see it in plain site – it must be lost and impossible to find. I need to work hard at making the most of minimizing my shortcomings related to both my learning style and personality type. ( see links in Tools ). At the same time, I pray I give my spouse flexibility in her lifestyle because she is indeed different than I am – Thankfully! I hope she will learn about & do the same with me. And if we really want to use the eyes God gave us, pointing outward for many reasons, we will both focus together on pursuing Him….